www.bookadventure.com is a free reading comprehension quiz website. It is very similar to Accelerated Reader program used in a lot of public and private schools. You enroll your child with their own login. As a parent you also have a log in. The bookfinder allows you to find a book listing of level appropriate books that interest your child. You can then print this list to go to the library. Each book has a quiz for comprehension that is taken online and then graded immediately. Each book has a point value assigned to it. Students acquire points to win prizes offered by the website. They can print bookmarks to color etc. As the parent you are also able to add prize certificates you want to add such as 500 points for a chocolate shake or a trip to the bookstore etc. We participated in AR in private school and most of the books we read have a quiz in book adventure. This is a great free program. My comments: That sounds really interesting and motivational. It's wonderful that it is free too. I'm going to go and sign up my son right now. Thanks for the tip! More tips on homeschool reading. 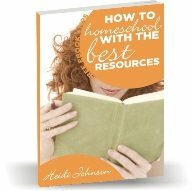 Helpful hints for all homeschool subjects can be found at home school books. ReadnQuiz is the only program like Book Adventure that is available to homeschools. https://readnquiz.com.